Got a Hammond XB-2? Put new life into it for about half the cost of a new single keyboard clone. See XB-2 Upgrade Kit. 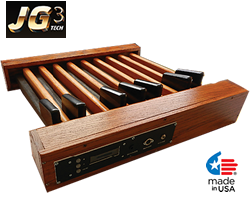 New Products from KeyboardPartner Are Here with the NEW HX3 Mrk5 with the 3.5 Real Organ Sound Engine!. 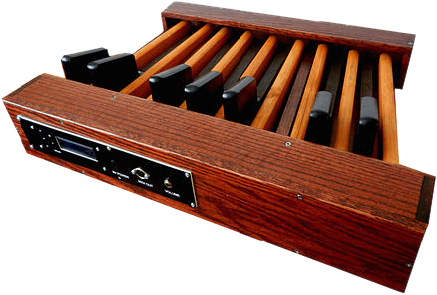 Why settle for spinet MIDI pedals for $500.00 or more when you can have MIDI Console Pedals for less? Plus they are made USA made. 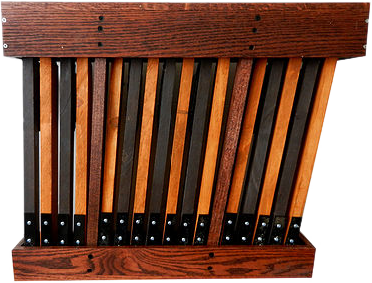 16 spring actuated notes that hinge from the rear of the pedal as in normal classic organ pedal boards. 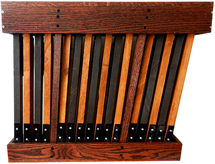 Radial curve of the pedal board also provides a realistic replica of classic bass pedals. Constructed of solid oak wood which provides supreme durability. 9V power supply is included. (standard midi-cable sold separately). These pedals are compatible with all brands of keyboards, sound modules, and laptops (Hammond Suzuki, Nord, Korg, Roland, Yamaha, Mac, PC, etc.*). *Disclaimer - All brand and manufacturer's names listed are used for reference only. Those "Brand Names" used are trademarks of those respective companies. Diversi nor JG3 Tech are affiliated with those respective companies. 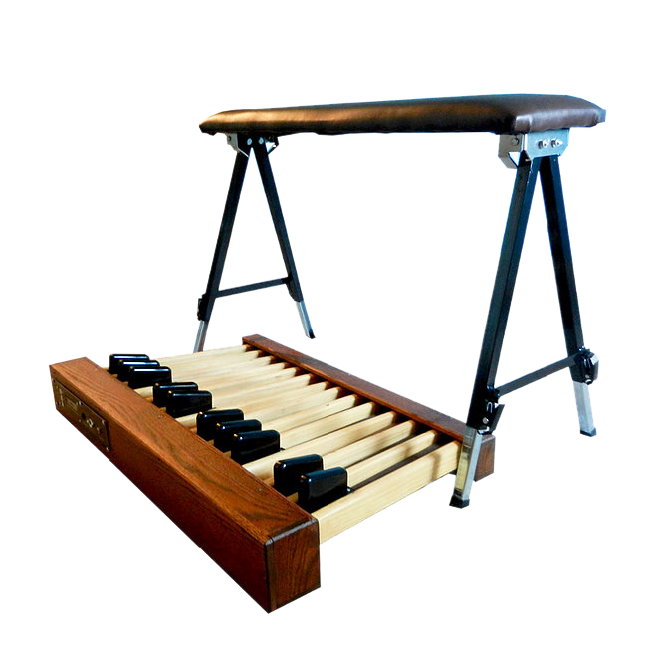 Why pay $1,200.00 or more for Console MIDI Pedals when you can own these for half the price? Plus they are made in the USA. 24 spring actuated notes that hinge from the rear of the pedal as in normal classic organ pedal boards. 9V power supply is included. (standard midi-cable sold separately.). The pedals are compatible with all brands of keyboards, sound modules, and laptops (Hammond Suzuki, Nord, Korg, Roland, Yamaha, Mac, PC, etc.*). 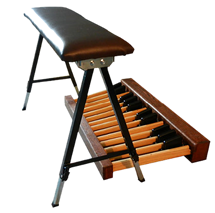 This one of a kind padded organ bench features lightweight folding legs. 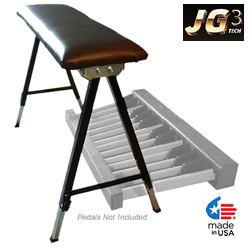 Leg height adjustable with the overall height of bench ranging from 25 inches to 43 inches. 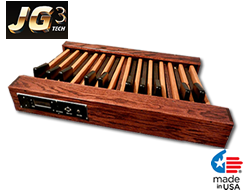 The newest release from the JG3 Technologies line of products. 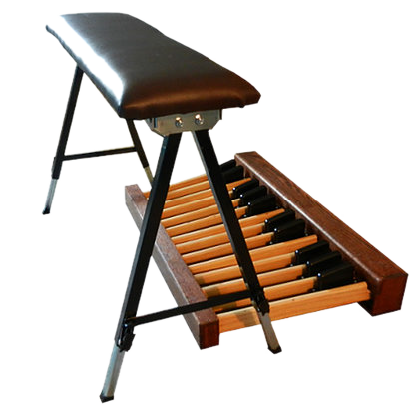 This one of a kind padded organ bench features lightweight folding legs. 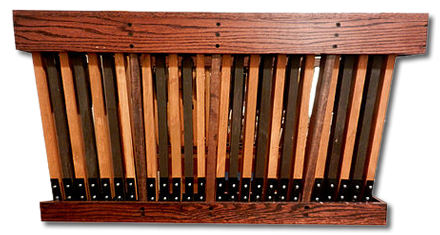 With a width of 36 inches, this bench spans over normal full size 25 note Vintage Hammond Organ bass pedals. Padded bench features a brown faux leather with 1 inch padding for supreme comfort. Folds up perfectly to fit under one arm, carry around to all your gigs and traveling needs. Disclaimer - Prices and product(s) availability are subject to change without notice. For more Disclaimer information Click Here.